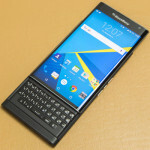 Blackberry Connect is the name given to RIM’s licensing scheme which allows other manufacturers to include ‘Blackberry Functionality’ on their devices. Connect is a stripped down implementation of the Blackberry stack, and so does not support all of the product features that are available in Blackberry. Originally there were two separate licensing schemes, Connect and ‘Built-in’. Connect was the stripped down stack, and Built-in was the full version that ran almost as an application on the device. Built-in never really took-off, indeed in Europe it was only deployed on one device model the ill-fated Siemens SK-65. Nowadays the Connect model is licensed for a wide range of manufacturers handsets (see devices) which includes Nokia, Sony Ericcsson, Windows Mobile etc. It depends really on the usage that you wish to put the device to and the nature of the handset itself. As the connect is an application that integrates with the device o/s if the device o/s is slow or doesn’t have enough memory then the Blackberry experience is equally crippled. I’d recommend that you test it our prior to committing to purchase or at least take advantage of a 14-day return policy offered by your carrier to return it if you don’t like it. How do I get the sofware / install it on my device? This is often not quite a straightforward as it seems. Please see the device specific information links for more details on your device. Note however that your carrier may not officially support that device or Blackberry Connect on your device even if another carrier in other parts of the world does support it. For example, in the UK, anyone wanting to use the Sony Ericcson p910i client for a long time had to download the software from T-Mobile Austria and install that version. Even if a handset is advertised as having BB Connect, then it’s not guaranteed that this has been pre-installed on the device. You may have to install from a memory card, or a website download. It’s also become apparent that it can be a bit tempremental on s/w version levels. Sometimes you need to upgrade your brand-new handset to get it working, or occassionally the handset upgrade can break the connect client, until a later release of the client. How do I activate my Blackberry Connect Device on a BES? Assuming you’ve got hold of the client s/w for your device, then you should also be able to get hold of the desktop sofrware for that device from the same place. Note this is specific to the give device manufacturer – i.e you need “Blackberry Desktop Software for Nokia” and not another manufacturers s/w or the generic RIM product in order for this to work. Wait for the desktop software to recognise the PIN code of the device and then update with the new PIN code. Manually generate the encryption key – wiggle the mouse a bit. If you are using the device on a company BES I strongly recommend talking to the IT department prior to trying to do this on your own – it might be against company policy. What are the limitations of a Blackberry Connect Device on a BES? When are these limitations going to be removed? How do I activate my Blackberry Connect for Internet Mail? If you are having Trouble getting a Treo 650 connected due to no service books and you have already reinstalling BB Connect for Palm, then tryremoving the default Sync user name from the Palm and sync with new username. CHMER 380 EDM RAM Sinker.75 AMPS. Low hours. One owner.